So I’m on to my second French Friday with Dorie post! this one is called long and slow apples. You cook them long… and slow. 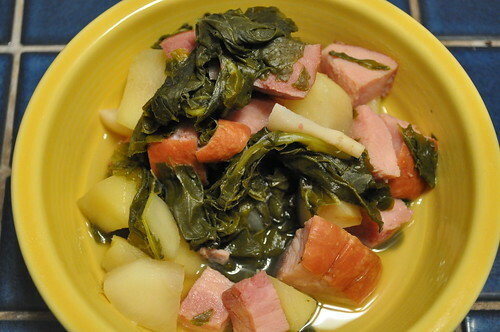 I was skeptical about one part of the recipe, like most FFwD’ers. 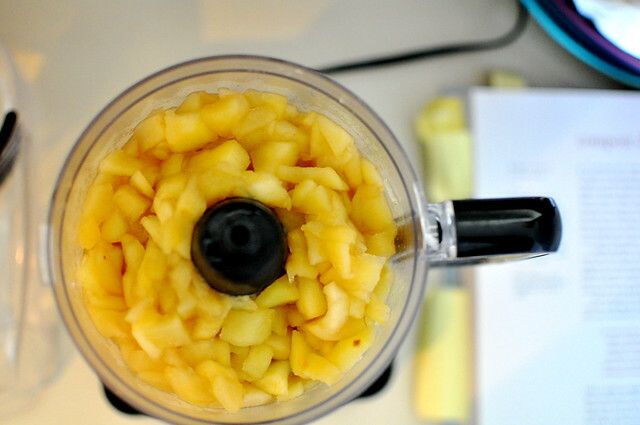 You slice the apples thin (check), make a sugar mixture and melted butter for layering in between the apple slices (check). You then wrap the ramekins in plastic wrap and foil. Wait. Plastic wrap?! Yeah. That’s what I, along with a bunch of other FFwD’er’s, said. Some went for it, I did not since I didn’t have any plastic wrap. Even if I did, I probably wouldn’t have done it. 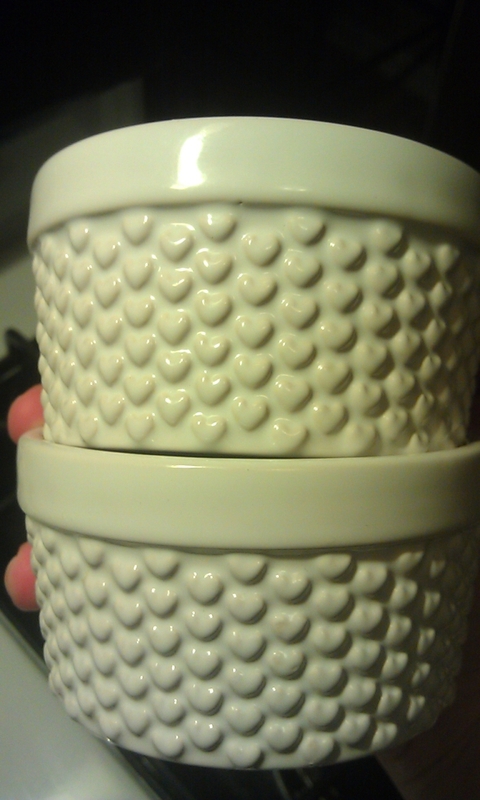 I would have probably ended up with a melted mess and ruin my new ramekins. Which, side note, have little hearts on the side of them. Cute! So anyway, back to dem apples. 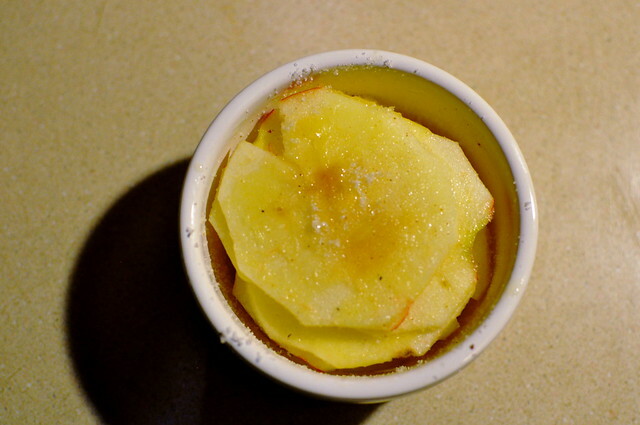 Apples sliced, and between each layer is melted butter and the sugary mix. I honestly had no idea what I was doing. There was no photo in the cookbook and I kind of just went with it. After this, I wrapped it with some foil, made some vents, and placed a mug on top to weigh it down. Had i known exactly why, I would have stacked MORE apples on top and make a tower of apples. They cooked WAY DOWN. a few days before we embarked on our bi annual trip to the fiestware tent sale, Jules and I decided to make some treats for the fiestaware breakfast. 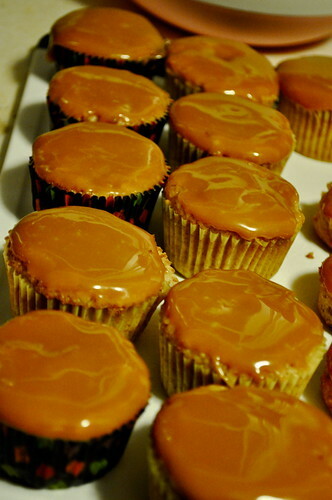 i happened upon the caramel apple cupcakes in Rachael Ray’s fall magazine. now i know i’ve ranted about her a few times on my blog but i still like her magazine. it’s colorful, fun and i actually found a few good recipes in it. the recipe seemed easy so we both said, “aiiiite” and forged ahead. 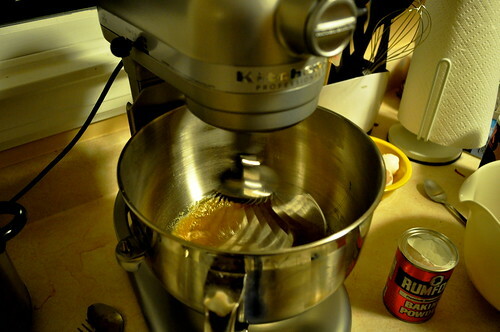 In a medium bowl, whisk together the eggs, brown sugar and granulated sugar until smooth. Whisk in the oil and vanilla. 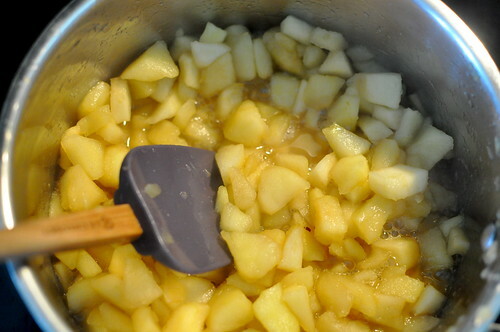 Stir into the flour mixture until just combined; stir in the apples. Spoon the batter into the prepared pan until almost full. 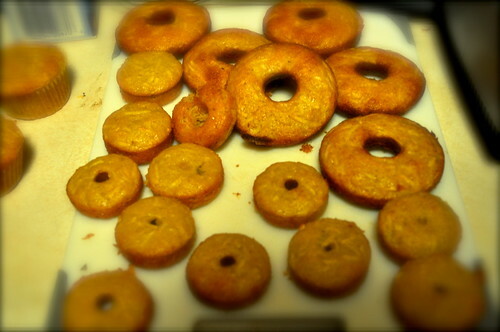 Bake until golden and a toothpick inserted in the center comes out dry, 25 to 30 minutes. Transfer to a rack to cool completely. 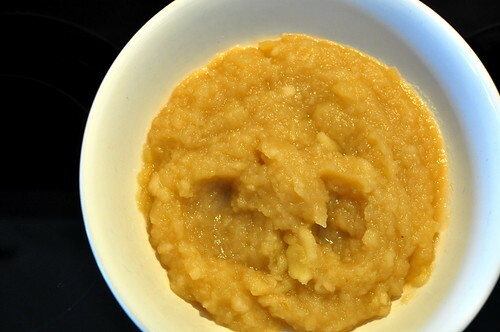 In a small, microwavable bowl, combine the caramels and cream. 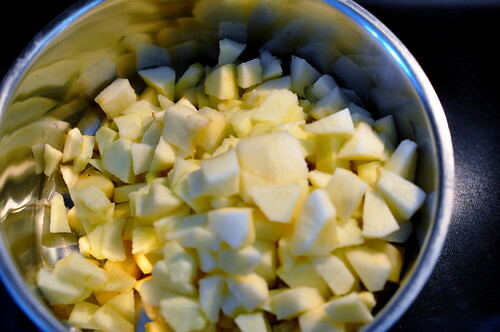 Microwave for 1 minute at medium power, then stir; repeat in 30-second intervals until melted and smooth. Let cool. Spread the frosting generously on the cooled cupcakes. they look good, don’t they? well, the only bad thing i could say about this was that we need a different icing. 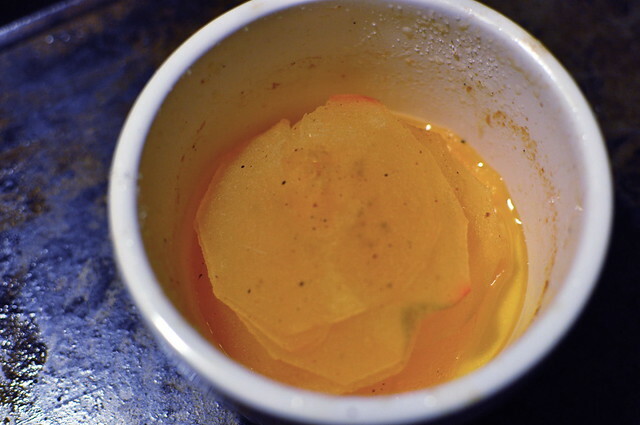 the melted caramels are good when warm. but when it cools, you might want to call your dentist before you take a bite. i’d totally make these again but with a different icing.